Celebrate Midsummers’ Day with this very special afternoon of talks, events, installations, screenings, family workshops and singing. Across a range of spaces in both King’s College London and Somerset House, this is an opportunity to visit the Museum of Water, and then hear more from artists and academics who create work that relates to water, who can offer an insight into the politics and history of water, and who can get you and your family experimenting, playing and reflecting on water. Events are free and run from 12-6pm, and there’s no need to book. Just come along, and we’ll provide maps for you to create your own watery voyage of discovery. 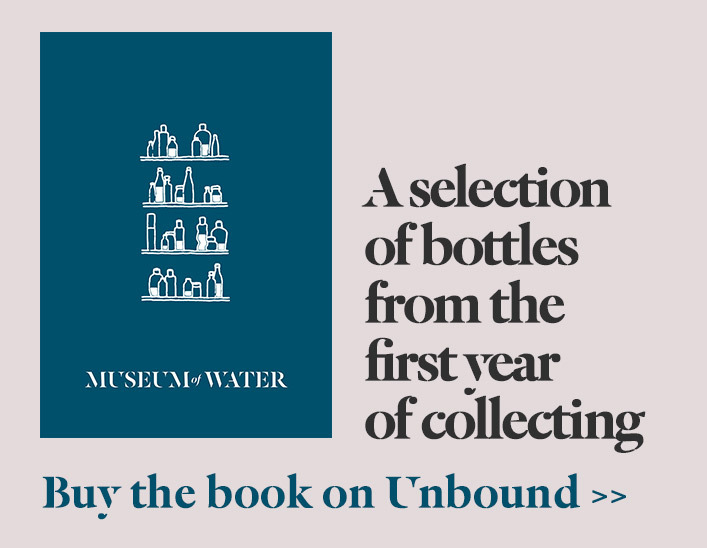 This event is part of the programme of events, talks and workshops accompanying Museum of Water at Somerset House. This events programme is supported by Thames Tideway Tunnel. Join Mother Nature Science who will show you how to create gooey slime, purify dirty water, build hydraulic toys, explore chromatography and investigate buoyancy. Have fun with hands-on water activities and count down to the launch of the Mother Nature water rocket outside. Heritage Arts Company will work with children throughout the afternoon to design a water-themed mural. They will also create a living installation in the ‘Roman bath’ and the surrounding area, taking inspiration from images of imagined post-Victorian bathers. Celebrate our rich riverside history here at Somerset House and write your own stories or poems based on old Father Thames. Swallows and Amazons (1974, U) Classic oustdoor children’s sailing adventure with the action taking place in the summer of 1929 in the Lake District. Andres Ayerbe and Camille Leproust share an interest in making and understanding things. They repurpose everyday objects to give them unexpected meaning and look at the coming together of technology and art as a way of addressing issues of human and social value. The Rain Printer (2013) gathers precipitation data from Bogor, Indonesia and Las Vegas, USA and prints the information on receipt paper via cash registers, visualising issues with water around the world and putting in question the commodification of natural resources. Come and learn a gorgeous water-inspired song and perform it in the spectacular Edmond J. Safra Fountain Court at Somerset House. Led by inspirational choir director Ali Orbaum, these singing workshops are open to all and offer the chance to learn a cappella harmonies and take part in a special public performance. The music will be taught by ear so no previous experience or knowledge is required. Just sign up for one of the afternoon workshops on our website, meet at Somerset House East Wing reception 15 minutes before the workshop start time, and prepare to raise the roof. Some of us have a life-long relationship with swimming. This could be a life-changing experience of recovery, a return to fitness, the steady upkeep of a healthy mind and body during the course of busy lives. Perhaps adventure and endurance? Some people swim because they like the atmosphere around pools. Some people swim because they can, some people because they must. Today, we will build a public manifesto on the River Terrace of Somerset House, where swimming enthusiasts will be invited to share their philosophies about, experiences of and reasons for swimming. Part speakers’ corner, part stream of consciousness, part campaign for greater awareness and better swimming conditions… part attempt to put into words and share the extraordinarily essential and occasionally transcendental feeling of swimming, The Swimmers’ Manifesto will chart the profound experience that swimming can be. Join us on our soapbox to have your say and help us explore the love of taking the plunge. This event is free to watch and take part in, and open to everyone, but if you would like to speak, please contact skye@artsadmin.co.uk as early as possible to book your space. Excerpts of The Swimmers’ Manifesto will also be published online. Thames21 is one of the country’s leading waterway charities, working with communities across Greater London to improve our waterways for people and wildlife. Join the Thames21 team for drop-in activities including water quality testing and a pollution fishing game, and to find out more about their new projects, Fixing Broken Rivers and Thames River Watch. A programme of presentations and films around the politics of water raises critical issues about dams, international river disputes, ways of seeing and representing water, the human right to water, the politics of floods and irrigation and questions of who exactly manages and controls water. Dr Mark Mulligan will demonstrate Forest Defenders which educates players about deforestation and its impacts on water and climate by using a deforestation monitoring system to examine rates and patterns of deforestation in the Amazon, Borneo and Congo forests. Groups of up to 30 will be guided at intervals from The Geography Room to the adjacent King’s building. The Basin Challenge is an online game that helps players to understand the complexities of river basin development. The decisions that players must make are based on authentic situations and environmental and social data. Physical geography of water is a demonstration of an invasive species in the Thames, with live crayfish, physical simulations of river processes and a short presentation on what’s in the water you drink, including a discussion of endocrine disruption. Also on display will be the King’s Geography river flow table, ideal to see at first hand the erosion and deposition of rivers, and the evolution of river meanders, deltas and floodplains. At the threshold of the sea. Between Essex and Kent. Where most humans live. The Delta Sound. Estuarine life. Oil on water. A midsummer’s afternoon, on the banks of the river, considering ‘downstream’ and its currents of thought, practices and politics. Alan Read, Professor of Theatre, draws from his unreliable memoir of a blank childhood, The White Estuary, exploring the resonance of the Delta Sound in the 1970s when the ‘only way’ was Essex Country, and curates a series of conversations with artists and thinkers who consider ‘downstream’ and its currents of thought, practices and politics. 13.00 – 13.45: Professor Patrick Wright on the life of the great literary innovator, Uwe Johnson, looking out from his home on Marine Parade in Sheerness, Kent, towards the wreck of the ‘unfathomable ship’, the Richard Montgomery, the estuary’s ‘unexploded bomb’. 14.00 – 14.45: Christopher Heighes of theatre makers Forster & Heighes on the curious history of the Hoverport at Pegwell Bay, where Thanet silt becomes the stage for invasion, exodus and exploration. 15.00 – 16.00: Dr Joshua Davies will trace the cross currents of the natural and cultural histories of Thanet to reveal the site of a now lost early medieval estuary and the legacies of the community who flourished beside it. Joshua will be joined by Clare Lees, Professor of Medieval Literature and Gillian Overing, Professor of English, Wake Forest University, who will discuss ‘Deep Water Tales’ reflecting on the earliest English water stories of women, sea-beasts, and shape-shifters inspired by the Museum of Water and by their recent work on Roni Horn’s water projects, particularly Still Water (on the Thames) and The Library of Water, Stykkisholmúr, Iceland. 16.15 – 17.00: Platform, London based art and campaigning collective, long committed to the cause of the Ogoni and the oil-led pollution of the Niger Delta, reflect upon their involvement in that ill at ease estuary and look forward to the return of the ‘living memorial’, Sokari Douglas Camp’s sculpture of the Ken Saro-Wiwa bus, from Tottenham to Ogoniland for the 20th anniversary of his execution in 2015. Old Water Words (a word-hoard refers to the poetic language of the earliest English poets) – a selection of readings of Old English poems about water with translations, and a sound piece/recitation of Old English (Anglo-Saxon) water words from the community of early medieval scholars and postgraduates at King’s and elsewhere. The water words have been collected from the international community of medievalists via an existing on-line blog and Twitter account, which runs as the Old English Word of the Day @OEWordhord. Participants: Fran Allfrey, Fran Brooks, Hana Videen, Carl Kears, James Paz, Vicky Walker and Becky Hardie, with Kath Maude. Have a listen here for the recordings from the day and also here for the photos. Enjoy a programme of water-themed poetry and performance flowing throughout the afternoon, curated and hosted by live literature producers Penned in the Margins. Faber New Poet Jack Underwood and sound poet Holly Pester collaborate on a one-off durational performance: a poem for two voices about the water we share and the water between us. Award-winning writer & Teaching Fellow in Poetry at King’s, Ruth Padel reads estuarine poetry from her collections The Mara Crossing, The Soho Leopard and Fusewire. ‘Floating poet’ Claire Trévien composes poems live in response to the exhibition and reads from her book The Shipwrecked House, inspired by the sea and her Breton maritime heritage. Tom Chivers reads from Flood Drain – his psychogeographical poem about the river Hull – and shares his experience of leading ‘urban pilgrimages’ along London’s lost rivers. Canal Laureate and narrow-boat dweller Jo Bell reads poetry informed by living on water. Siddhartha Bose reads poetry inspired by the Thames and the Ganges, and discusses the influence of water on TS Eliot. The 55 fountain-jets that now play in the courtyard of Somerset House are the modern successors of two much earlier fountains in the old Somerset House, built not for public pleasure but for the private enjoyment of royalty – one for Charles I and Henrietta Maria, and the other for James I’s queen, Anne of Denmark. Follow the history and fortunes of these fountains back in time and discover their surviving traces, on the Somerset House site and further afield. Michael Trapp is Professor of Greek Literature & Thought at King’s. Besides his legitimate classical interests, he has an increasingly obsessive interest in the history of the Somerset House and King’s sites before the arrival of the present buildings. London’s water supply has a rich and interesting history that goes back, not just a hundred, but almost 2,000 years to when the Romans originally founded the city. Rob Casey (Thames Water Utilities) talk focusses on key people who have played a part in the providing water to the capital, plus key decisions and innovations where London has led the industry. The River Thames has been a favourite bathing spot for centuries, but it was the Victorian era that saw the birth of organised river racing. Soon floating baths were built in London; official pools, islands, pontoons and lidos were created all along the river, and by the 1930s Thames beaches had become family seaside resorts. Then in 1957 the river was declared biologically dead and by the 1970s Thames swimming was seen as unusual and dangerous. Today the Thames is the cleanest in living memory and the resurgence in ‘wild swimming’ means we’ve returned to its watery embrace, yet deep-seated fears remain, particularly about pollution. This talk looks at swimmers’ relationships with the Thames, drawing on original research from a new book, Downstream: a history of swimming the Thames, to be published by Aurum in April 2015. Rivers, lakes and oceans across the world cry, sing, and roar with music. People have long been listening to, shaping and drumming water to make stunning forms of music and sound. The BaAka people from the rainforests of the Central African Republic playfully coax rhythm and melody from the surface of rivers; Tuvan throat singers in southern Siberia sing alongside the melodies and rhythms of gurgling streams; and water poured on the skin of friction drums in the Ivory Coast produces masked rasping sounds for other worlds. In this illustrated talk ethnomusicologist and sound curator Dr Noel Lobley (Pitt Rivers Museum, University of Oxford) will explore some of the ways that diverse communities communicate the sound and music in water. Alan (Operations Liaison Specialist, Thames Water) is London’s expert on how waste water is managed under our city. With 8 million people washing, showering and flushing everyday there is lots of work to do to keep things flowing. As a Civil Engineer starting with Thames Water back in 1966, Alan has gained extensive experience looking at operational problems and resolving issues. Alan believes that the biggest challenge of all is ahead of us – Last year, 55 million tonnes of raw sewerage was washed into the tidal Thames. This talk will explain the history of London’s sewerage network, how this came to be and what we are doing about it. Usually open by special arrangement only, the National Trust’s ‘Roman Bath’, on the King’s College London Strand Campus, will be open to the public every day during the Museum of Water. The Roman Bath, 5 Strand Lane is a spring-fed brick cistern under the back-building of 33 Surrey Street. Reputed since the 1830s to be a Roman relic, it was in fact originally the cistern for an early 17th-century fountain in Somerset House, and was converted for use as a cold bath after 150 years of neglect in the 1770s. Its cold waters killed the MP and sculpture-collector William Weddell in 1792, and refreshed the young David in David Copperfield (1850). Poet Alice Oswald has written a water poem for the occasion. The Poetry Society will give copies to the first 100 people at the Midsummer Water Day who choose to take a ‘sip’ of water from her Dartmoor pool in the Roman Bath.